A STUDY IN DEATH Cover Reveal! I bring you all exciting news! The incredible author Anna Lee Huber is revealing the cover of her newest book in the Lady Darby series today and I am going to be helping her! A STUDY IN DEATH is the latest installment in the award-winning Lady Darby mystery series by national bestselling author Anna Lee Huber. It will release on July 7th 2015 from Berkley Publishing, but is available for preorder now. And if you haven’t red the earlier books in the series then you must – they are so good. Just have a read of my interview with Anna Lee Huber to find out more. Just have a look at this glorious cover! Isn’t it beautiful? And click on the read more for a blurb of the book and an exclusive competiition being run for all you (lucky) North American readers out there. 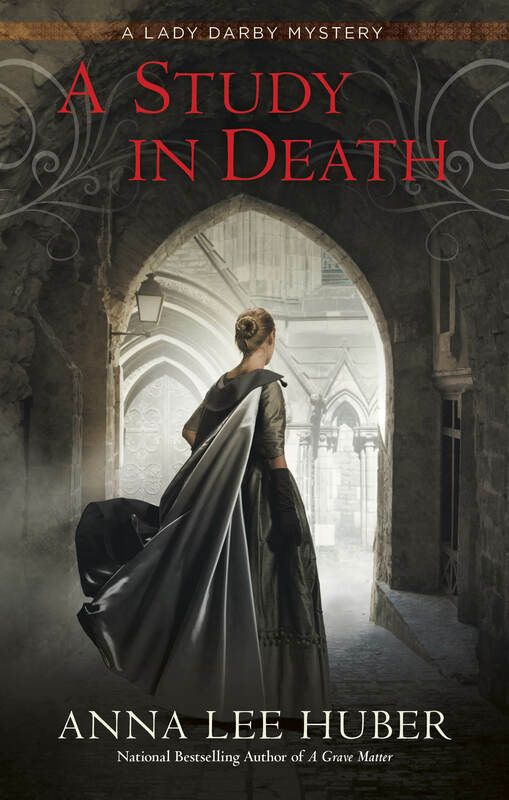 To celebrate the unveiling of the cover of A STUDY IN DEATH, Lady Darby Book 4, Anna Lee Huber is running a giveaway on her Facebook page (https://www.facebook.com/AuthorAnnaLeeHuber). Entrants must comment under her post displaying the cover of A STUDY IN DEATH for a chance to win a copy of the audiobooks of Lady Darby Books 1-3 (THE ANATOMIST’S WIFE, MORTAL ARTS, and A GRAVE MATTER). North American entries only. Please see post for Giveaway Terms and Conditions. You’re welcome! I can’t wait to read it now! Next week I am going to be running The Speed Project! If you want to follow the whole epic journey, use the hashtags #artemisarrowstsp and #artemisarrows - I will also be going crazy on my stories and feed at @rosh_radia all through next weekend! Hello everyone! Just posting on here to let you all know that even thought this account it on hiatus, I have started a new one which isn’t all about running or fitness! • While I will be updating stories on here every now and again, normal service is happening on @rosh_radia ❤️❤️❤️ • EDIT: still love the follow / unfollow account I get on here even when I’m not that active. I am not going to follow you! Hey wonderful people!! I hope you all had the most amazing Christmas, if you celebrate. I wanted to thank you all for your continuing support for all that I do - I can’t tell you how grateful I am! I still won’t be updating this account regularly but my new account @rosh_radia is being updated with photos like this one - hopefully I’ll see you there! A huge thank you to everyone who has been following my new fashion account! I am having so much fun being so creative with my photography and to be honest, taking photos of running and other fitness related activities was getting a little boring. Hopefully I’ll be back on here soon too, but I’m going to take a little break from this account. I can’t quite believe all the amazing things instagram has given me, and especially all the amazing people I’ve met. Those of you whom I follow, those of you who follow me - you are all amazing and I love all of you ❤️❤️ • If you want, check out @rosh_radia though and give me a follow there!